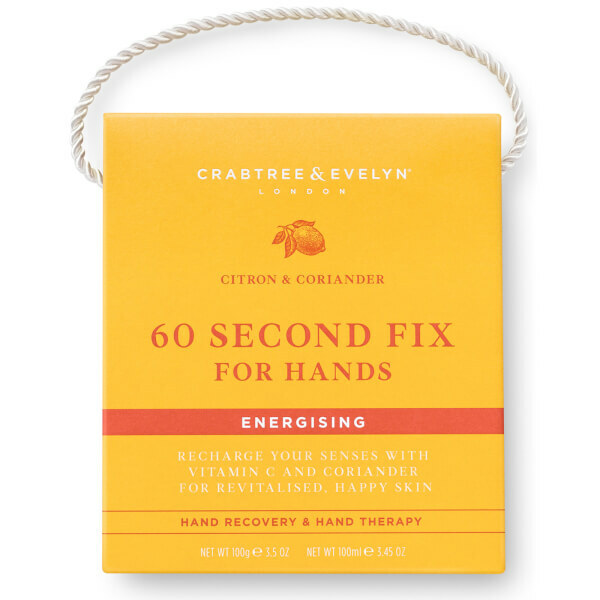 Pamper hard-working hands with Crabtree & Evelyn's Citron & Coriander 60 Second Fix For Hands; a moisturising duo that work in tandem to soften and condition, whilst imparting a luxurious scent. A lightweight, quick-absorbing treatment to replenish and condition skin without greasy residue. Infused with ultra-moisturising Shea Butter, the nourishing hand cream soothes and softens dry hands, whilst notes of Lemon and Honey uplift the mind. 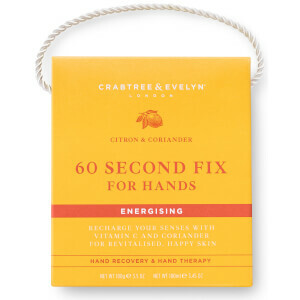 Rejuvenate dry, rough hands with the nourishing and exfoliating treatment. Harnessing the moisturising powers of Shea Butter, the hand scrub works to restore soft, smooth hands, whilst imparting an uplifting fragrance of fresh Lemon Leaf and sweet Honey. Hand Therapy: Rub a small amount into hands and nails as required. Hand Recovery: Massage into hands and rinse with warm water.